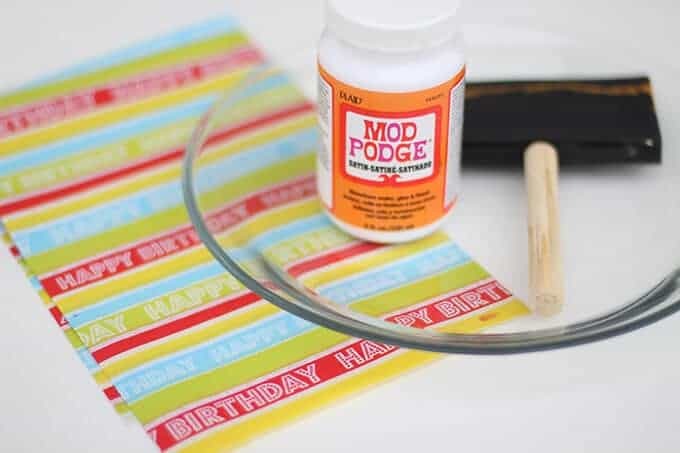 How to Make a DIY Birthday Plate in 10 Minutes - So Festive! 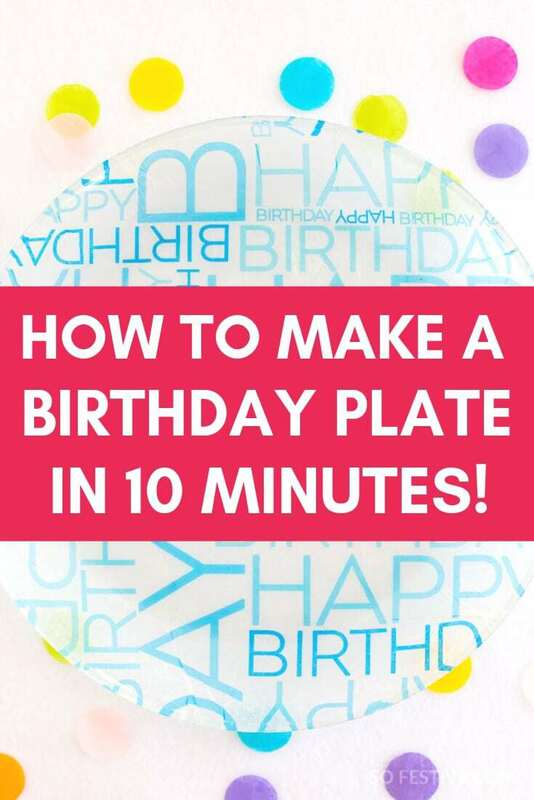 Create your own festive birthday plate with this simple tutorial! We had a Birthday Plate when I was growing up and it made birthdays extra special. The birthday person always got to use it to eat breakfast, lunch, and dinner. It became a tradition. I loved it so much I wanted to create one for my own family. I made this DIY Birthday Plate a few years ago, but I wanted to make a new one that was more feminine since there are 2 girls in the house now! 1. 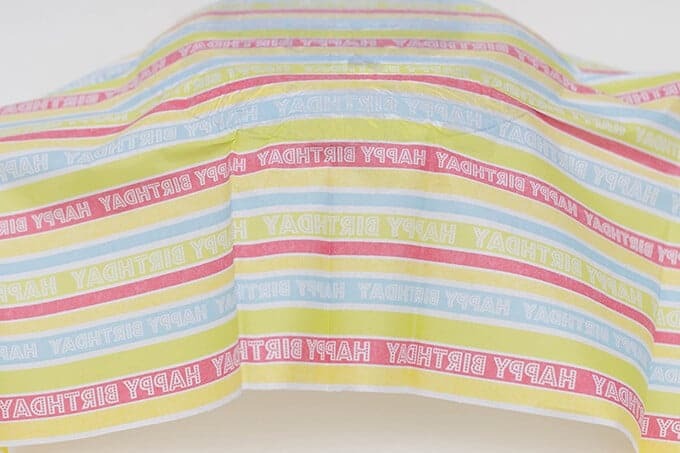 Figure out what portion of the Happy Birthday tissue paper you would like showing on your plate. 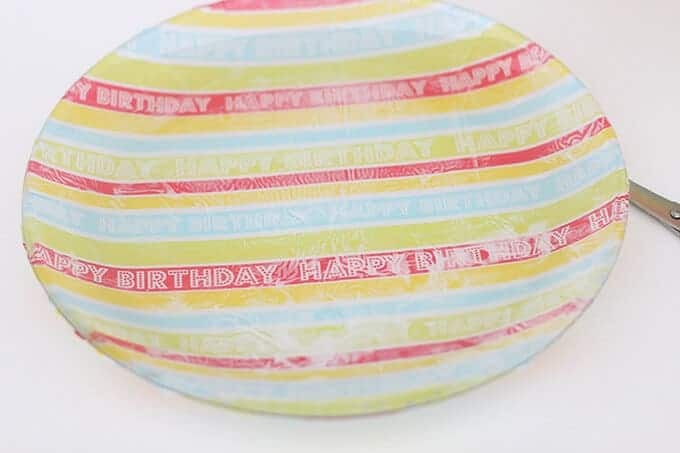 You can cut down the tissue paper to a few inches larger than the plate, or just use the full sheet. 2. Lay your plate upside down onto a large can or bowl. Cover the underside (the top side now) with a generous coat of mod podge. 3. Lay the tissue paper face down onto the plate. Be extra careful because it won’t be easy to peel off mistakes. Gently smooth out the paper, being careful to not rip the paper. Let dry for about 10 minutes. 4. After about 10 minutes, cut around the edge of the plate to remove the extra tissue paper. You will notice that some of the paint has not quite dried all the way. It’s okay. It will eventually dry. 5. Cover the bottom side with an extra layer of mod podge to seal it off. You’re probably wondering how to clean your birthday plate. Carefully use a damp rag to wipe the top of the plate off. The entire plate should not be submersed in water. Mod Podge + water= no gooda. Don’t submerse in water or put plate in microwave or dishwasher. Don’t let this stop you! We have had our birthday plate for over 5 years now and the plate is still in great shape. We have had a plate for 5 years now and it still is holding up great. Don’t Want to Make Your Own Plate? 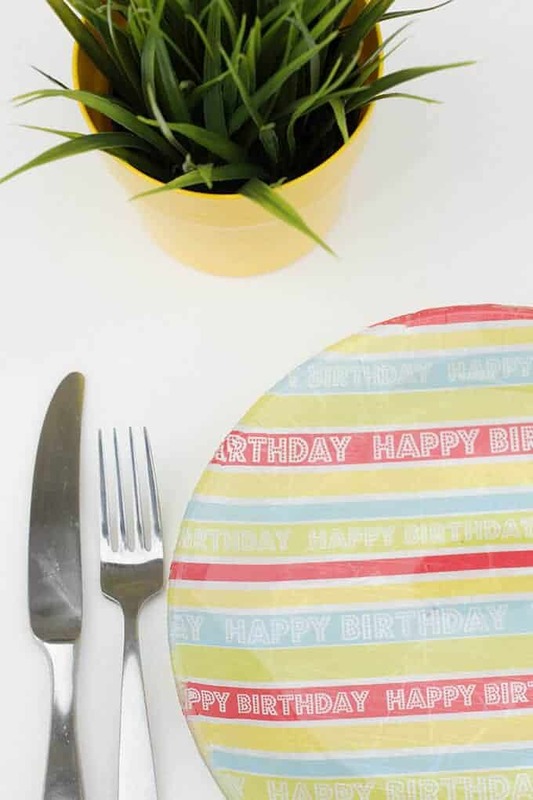 If you’re not in the mood for a DIY birthday plate project, here’s a few already-made birthday plates to choose from! 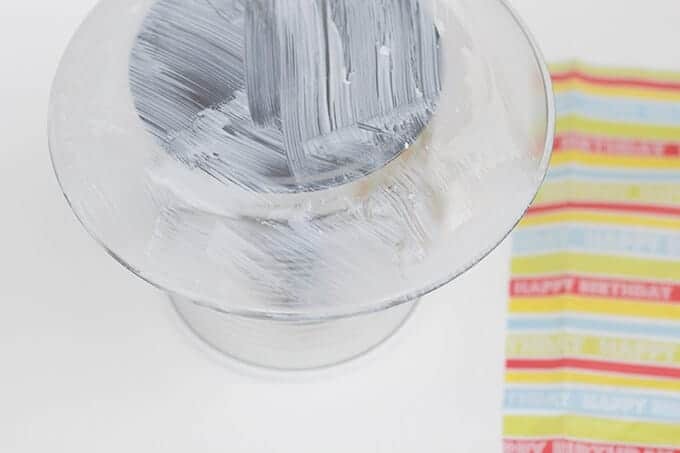 Read more Simple Birthday Traditions right here. Happy birthday, girl! Hope you have a great one. Fun post! !